The Global Berry Congress, which took place in Rotterdam on 25-27 March, included a series of talks on the Launchpad stage covering some of the most up-to-date technology and innovative industry practices. 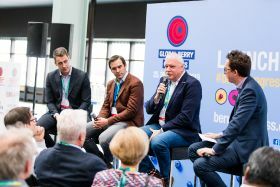 Sessions throughout the day covered a wide and varying range of topics, from controlled atmosphere packaging and financial planning to protecting berry production and automated harvesting. The opening session, a panel discussion involving Tom Coen of Octinion, Marko Kokanovic of BSK and Willem van Eldik of Delphy, took a general look at the future of technology within the berry industry, and saw chair Michael Barker as the question of what the most exciting areas of development in the industry would be in the coming years. "Everything is exciting in berries!" said van Eldik. "But the key issues moving forward will surround things like 24/7 supply, artificial lighting such as LED, and labour issues that could be solved by robotics." Coen agreed that 24/7 production of berries was high on the agenda, as was robotics. "On a sector-wide scale, robotics will take time to be implemented," he noted. "We are looking at at least five to ten years before things are mainly automated." Van Eldik added that the industry would never be 100 per cent fully automated. "On that issue of labour being replaced, it will never happen completely," he told delegates. "You will always need people - for example, specialists with expertise in production." "I agree, you will always need specialists with expertise, no matter how much you automate - whether these are managers, machinery operators, technical staff or involved with growing," said Kokanovic. 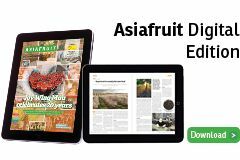 "Another area of innovation that I expect to see grow in the future is that of mechanical harvesting for blueberries and haskap berries, with equipment that can gather up to 95-97 per cent of the harvest."